I’ve long been a fan of making. I always say that big ideas are great – but what will you create? I think it’s the making and doing that gets you closer to your path, and more in touch with your creativity. You can WIN a copy of Creative Confidence by Tom and David Kelley, the forces behind the incredible design, innovation organisation IDEO. Just fill out the form below, sharing what creative skill you’d love to develop. The book will go to someone desperate to get back in touch with their inner creator. Every month, Make Do Co. gives away a book that taps into the values behind the business. Learn more. 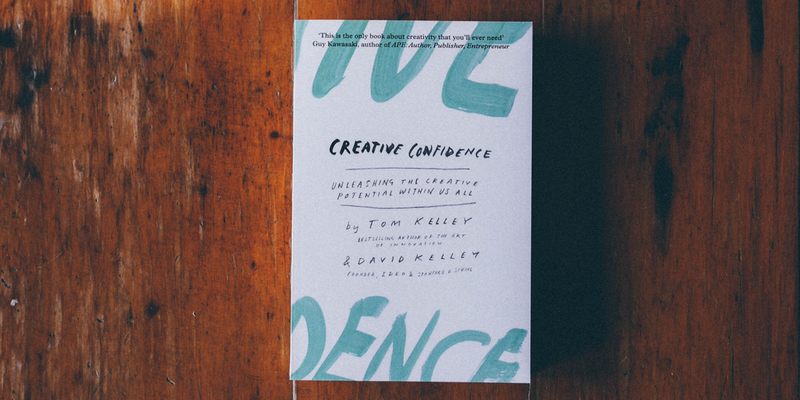 The winner will receive one copy of ‘Creative Confidence’ by Tom and David Kelley. To be eligible for this competition entrants must subscribe to Make Do Co. email newsletters. You can unsubscribe from these e-mails at any time. The competition is only open to people based in Australia. The competition closes at 12.00am (EST) 17 March, 2016. The winner will be picked at random and the decision is final.There is no entry fee and no purchase necessary to enter this competition. The winner will be notified via e-mail using the email provided when subscribing. No cash alternative is available for this prize, and no part or parts of the prize may be substituted for other benefits, items or additions. No responsibility can be accepted for entries not received for whatever reason. Entry into the competition will be deemed as acceptance of these terms and conditions.